The physics unit at the heart of the No 16’s its atomic clock was developed by the US Department of Defense, to avoid GPS jamming in cruise missiles. The unit contains an oven to heat Caesium to 130ºC, a laser to excite the atoms and a microwave resonator. This extracts a transition frequency of 4.5 billion beats per second. That’s compared to, say, the 36,000 beats per hour of a “high frequency” Zenith El Primero. It won’t explode and it can’t give you radiation, because it’s neither atomic-powered (atomic refers to its atomic ‘pendulum’, not its power source), nor radioactive – Caesium 137 is a stable isotope. The right hand dial, with mean solar time, sidereal time and equation of time counters, is an homage to Dr George Daniels’ Space Traveller pocket watch. The left hand dial, with its Art Nouveau pattern, is intended to evoke the trails visible in a cloud chamber – a device used in particle physics to study the movement of atoms. 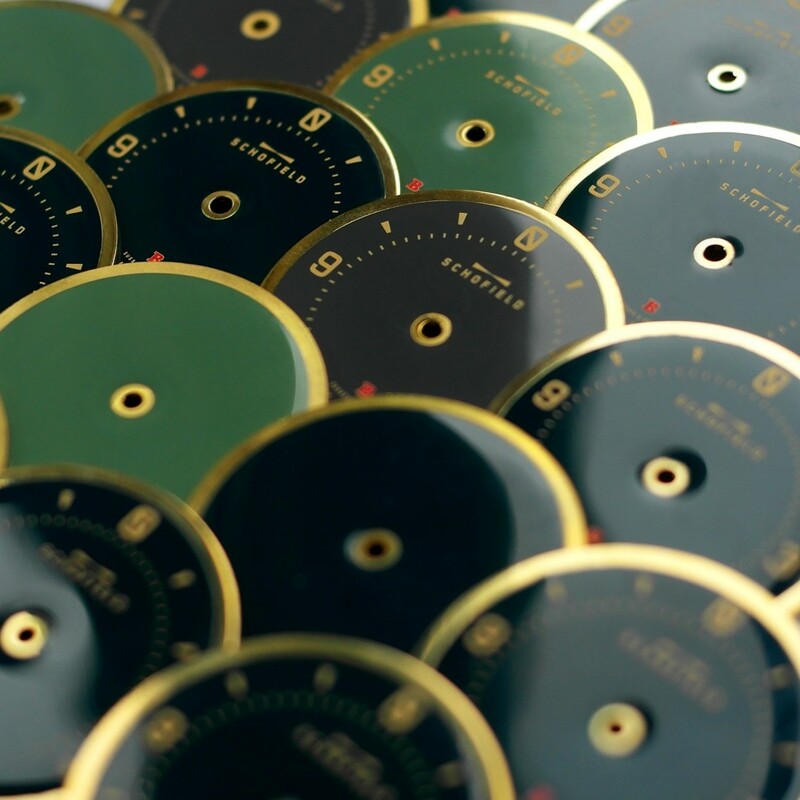 The faces between the two dials are inspired by Picasso’s drawings, and are rendered in Rhodium plating by master goldsmiths Elliot Fitzpatrick of London. Designer Richard Hoptroff is a founding member of the Atomic Watchmakers’ Club – current membership: two. The photography on the Schofield bulletins is really nice I thought it would be nice to share some recent ones with you. The Beater dials are beautiful. Here is a very comprehensive review from Timeless Luxury Watches of Texas. Bremont has been making aviation-inspired watches since the very beginning, but 2014 marked the first time that Bremont and legendary aeronautics company Boeing collaborated on piece. Being able to design watches with and for Boeing is a major privilege for the English watchmaker and was never seen as an opportunity for a mere rebranding. Bremont could have taken one of their popular designs, like the Solo, and put some Boeing logos on it and a different color scheme and called it a day. Instead, not only are these not limited edition watches, but aside from the chronometer-grade movements, which they share with many other Bremonts, the watch is entirely new. What we see here, the Bremont Boeing Model 1, is the result of that thoughtful collaboration. There are currently only two models of Bremont Boeing watches available today, the Model 1, which we are looking at today, and the chronograph variant, the Model 247. Each of those is available with two options: your choice of dial color, white or black, and your choice of case material and that’s perhaps the big story here. Boeing models can be had in either a proprietary Boeing steel alloy, 465, which is engineered to have excellent hardness and resistance to corrosion, or you can choose the super light, aviation grade Ti-64 titanium. I believe that this is the first use of either of these materials in the world of horology, and for the foreseeable future, only Bremont Boeing models will have these materials available. The particular Bremont we have today, the Model 1 in black, has the 465 steel case, which is my preference. I like a little heft to my watches, especially when there’s no bracelet, and while Ti-64 should be very hard for titanium, it won’t be anywhere near as hard as this special stainless steel, so I appreciate the scratch resistance. The Model 1 features a bidirectional rotating bezel and screw down crown, but my favorite feature of this watch is the cool, propeller-esque crown guard at 4:00. I also appreciate the relatively austere dial which is not a major departure from other popular Bremonts like the Solo. But perhaps most of all, I enjoy how subtle the Boeing branding is. I’m not in aviation, so I admit upfront I may not appreciate the branding as much as some people who are, but I’m glad Bremont took this as an opportunity to collaborate on a watch, not really as a marketing vessel for the two brands. Indeed, you won’t see a single written reference to Boeing at all when worn on the wrist–it’s only on the caseback. Like virtually all Bremont 3 handers, the BE-36AE is used, Bremont’s adaptation of the popular ETA 2836-2. It is, of course, chronometer grade, for guaranteed high accuracy, but more noteworthy is the amazing decoration that Bremont uses. It’s easily one of the prettiest ETA movements I’ve ever seen, to the degree you almost don’t even recognize it. Also worth paying attention is to the anti-shock mount that surrounds the movement. This helps insulate the movement from trauma, which not only reduces the chance of breakage but may even increase the accuracy by mitigating the effect of vibration throughout your daily life. Just to be straightforward, I think the Boeing Model 1, in either dial color, is the best looking production watch Bremont has ever made. It really elegantly captures what Bremont is all about. I particularly like the bi-directional sapphire crystal bezel. Like every Bremont I’ve tried, it has really solid and clear detents but it’s a little lower effort than their divers, which is a subtle, but positive, change in my opinion. The pip is lumed, but I would have loved to see all the markers lumed–that would have given a brilliant display at night. I also like how narrow the bezel it is. The dial is maximized at the cost of bezel space, but I think that’s a good tradeoff. The black dial (as well as the white) is of the matte variety and is an excellent proving ground for Bremont’s bilateral anti-reflective coating. Black dials pose all sorts of additional concerns for photography because the glare is normally so bad. I usually compensate by using a black canopy which can have its own negative side effects. In this case, not only did the AR coating lack the blue hue associated with some AR coatings, but it was so good I didn’t use a specialized canopy at all, which is why you can see a little bit of the white ceiling reflecting back. Very impressive. The watch is extremely high legibility, even more so than the white dial. The blue lume is white in decent lighting and it, along with the white Arabic numerals and lumed markers, stand in stark contrast to the matte black dial. The blue lume is pretty bright as well, although don’t expect diver-esque portions. It’s more than adequate, however. Again, the Model 1 is actually an exercise in subtlety, and not just in the sense of being versatile. Notice that there is not a single mention of the Boeing collaboration anywhere on the face of the watch. The only hint is the subtle tip of the seconds hand, derived from the Boeing logo. The whole effort just feels more sincere to me than many other collaborations within the watch industry where a logo is thrown onto the dial and maybe a special color is used for the hands and that’s the whole effort. The biggest story in the Model 1 is the case, or more specifically, what it’s made of. 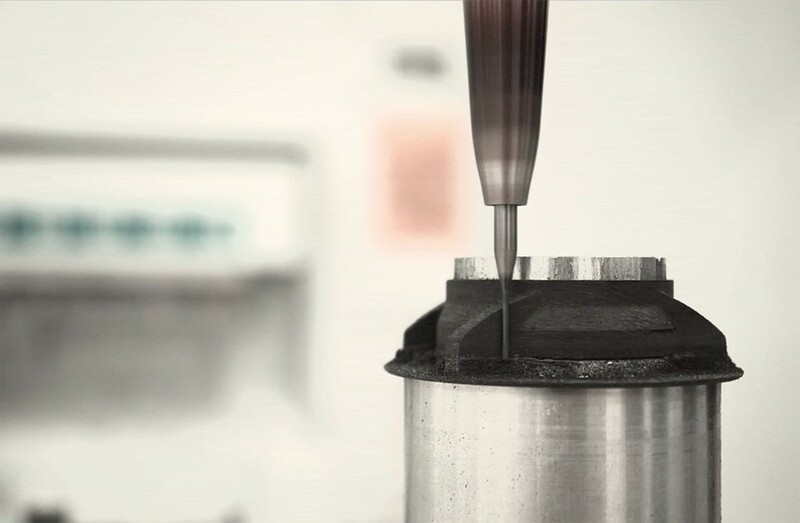 For the first time ever, as far as I can tell anyway, Boeing’s proprietary 465 stainless steel is used, which is supposed to be both harder and more corrosion resistant than other steels on the market. For those who prefer a lighter watch, Ti-64 aviation grade titanium will be available. For my money, I prefer this still, but it’s nice to have two unique options. In addition to good metallurgy, I really love the crown guard on the Model 1 (sadly, due to the chronograph pushers, not available on the 247). In terms of shape, it reminds me of their propeller logo and just looks really cool. I also like how the off-centered crown looks on this watch–no particular reason, I just think it works here. Also of note is the Trip-Tick construction which allows Bremont to choose three different elements to construct each case. In this instance, the black barrel is a cool, eye catching addition. My only criticism of the crown guard is that, as you can see, it’s sealed from the top, meaning that when you set the watch, you actually have to grab the crown from below which can be a bit awkward. Still, worth it to have this cool little sculpture that is actually molded from the lug of the watch and meets an additional component halfway. Aside from the cool crown guard and narrow bidirectional rotating bezel, the 43mm Model 1 is not a major departure from other Bremont watches, which is probably a good thing since Bremont is one of the most respected case makers and designers around. For me personally, a man of 5 feet 10 inches, I might prefer it to be a hair smaller, maybe 41mm, but the size difference wouldn’t keep me away from it, particularly since this is a dedicated sports watch. I normally don’t do a movement section for watches with ETA movements, not because they’re inferior, but because there’s such a wealth of information about them already that I’m not really contributing much. Bremont does primarily use ETA movements but puts their own spin on them. Many Bremonts have solid case backs so you can’t appreciate their contribution, but here it’s all on display. As you can see, there is an extremely thorough and beautiful perlage across almost every available piece of the movement. At first glance, you won’t even recognize this as an ETA movement. That impressive decoration, as well as the Bremont-made skeletonized rotor, unique to Boeing models, transform the ETA 2836-2 into the BE-36AE you see here. Virtually all Bremont movements are chronometer grade, and this is no exception, so the performance ought to be on par with most other Swiss chronometers and well within the +6/-4 seconds per day rating. I also want to point out the anti-shock mount that surrounds the movement. This helps to insulate the delicate movement from shocks and trauma which not only makes the movement more durable against impacts, but may even help prevent timekeeping instability caused by everyday vibrations (through your steering wheel, your shopping cart and so on). Check out the Bremont Model 1 in high-definition with our newest video. I have a new favorite from the Bremont collection–the Model 1. Without a doubt, the Model 1 would be my first choice in a new production Bremont. Would I choose the white dial or the black dial though? Stainless steel or titanium? Well, I’ve already tackled the materials issue–I’d go with the Boeing steel, but the dial color question is much more difficult. Initially I found the white dial more appealing, but having spent a little more time with the black dial, it’s harder to say. I think right now, I’d have to side with the white dial, but I need to get both in hand before I can make that decision. I can say that, although the Model 247 Chronograph is very cool, I actually prefer the simpler Model 1. It’s more distinct to me–it has that cool crown guard, and I like its relatively subtle design. This could easily be an everyday watch. I love being able to see the movement and anti-shock mount. I don’t care that it’s an ETA at heart, it’s just gorgeous, particularly with those bold blue accents. The Model 1 got a bit overshadowed by the super popular Terra Nova, but I actually think this is the one to be paying attention to. For one, the Terra Nova is a limited edition, so it won’t have a lasting impact on Bremont’s lineup. But I also think the Model 1 is just prettier, and I appreciate being able to see the movement. It’s really a great example of how to do a collaboration watch instead of a hollow marketing exercise. 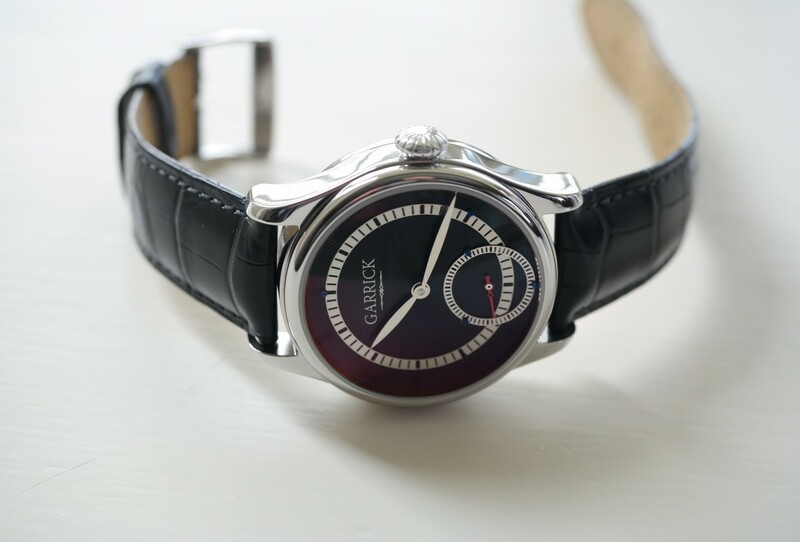 THE HAND-WOUND SHAFTESBURY SM301 WILL BE THE FIRST WATCH TO BEAR THE GARRICK NAME. Some of the key elements of this fascinating timepiece include a machined brass dial, featuring an enamel coating and polished stainless steel, leaf shaped hour and minute hands, designed to look resplendent in ambient light. In addition, a small seconds display, with a slender red hand, resides adjacent 6 o’clock. There is a delightful depth to the dial, courtesy of raised stainless steel chapter rings, mounted on steel pillars. The chapter rings are held in position with thermally blued screws, adding a flourish of colour with their vibrant bluish-purple hue, differentiating this watch from those which are mass-produced. A sense of tasteful restraint is the order of the day. The case is constructed of stainless steel 316L, arguably one of the finest materials available for this purpose, measuring a highly agreeable 42mm in diameter, conferring ubiquitous appeal. The surface of the case features Garrick’s unique scratch resistant treatment, helping to preserve the factory-fresh appearance of the Shaftesbury sm301 for many years to come. The incorporation of an onion-shaped crown will proffer ease of operation, as well as an elegant aesthetic, cohesively complementing the exterior of this handsome Garrick timepiece. A talented team of English-based, Swiss-trained, watchmakers use an existing vintage Unitas 6498.1 base movement and enhance it to Garrick’s exacting standards. The specification includes an in-house free sprung balance, open spring barrel and thermally blued screws. Adding the free sprung balance means that the Shaftesbury is an extremely accurate timepiece and performs well above expectations. The artisans based at Garrick’s workshop, further enhance the movement by adding in-house open bridges with hand bevelled edges, evincing a traditional mien. The Shaftesbury sm301 is set to be a fine English watch with impeccable breeding. Jan 9, 2015Roger Smiths unveiling the GREAT Britain watch at the Watch Club, in Mayfair’s Royal Arcade in 2014. Roger Smiths unveiling the GREAT Britain watch at the Watch Club, in Mayfair’s Royal Arcade in 2014.